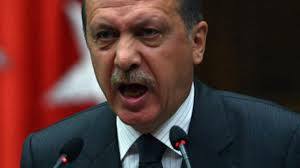 Turkey’s PM Recep Tayyip Erdogan has issued a “final warning” to protesters to leave Gezi Park in Istanbul. “Our patience is at an end. I am making my warning for the last time,” he said. Clashes between police and protesters in the park and adjoining Taksim Square have continued for nearly two weeks. Activists have said they will not leave Gezi Park until the government abandons plans to redevelop it. Recep Tayyip Erdogan has promised a local vote on its future. Such a plebiscite would not be legally binding but Recep Tayyip Erdogan implied he would honor its outcome. “I say to the mothers and fathers please take your children in hand and bring them out,” Recep Tayyip Erdogan declared. Recep Tayyip Erdogan’s speech at a meeting of his ruling AK Party in the capital, Ankara, received a standing ovation.